BSc in Environmental Science and an MA in Environmental Education and Communication. Nadine Raynolds, is an organizer, facilitator, and educator with nearly 20 years of experience working with environmental and social change organizations, from small community-based groups to national non-profits. Nadine has a BSc in Environmental Science and an MA in Environmental Education and Communication. Nadine serves as a Councillor for the Village of New Denver, where she lives. 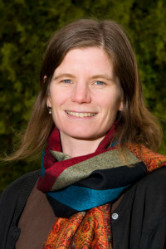 Nadine’s research focus is to explore the cultural well-being of the Columbia Basin Boundary Region through the State of the Basin initiative, as well as assisting with other RDI projects. She has a passion for good communication and leadership, thinking strategically, and working collaboratively. Nadine is excited about how RDI’s research can contribute to building resilient and flourishing rural communities.